Soooo...you don't have time or space...OR there's just a little left in the budget...but you need something for the guests at your event to do. Here's how it works...You tell us how many containers @$2.50 you need. 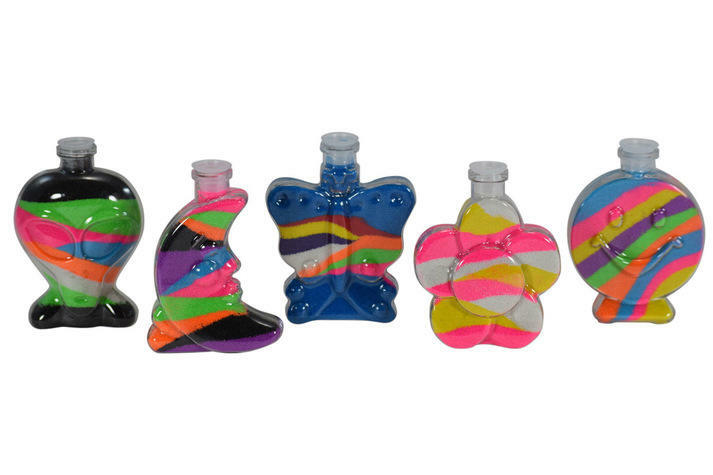 We'll provide an assortment of those...and enough sand (of various colors) to fill them...(in our sand art bottles). You give us a $35.00 deposit for the bottles and payment for the containers. When you've returned the bottles to us by the due date, your deposit is refunded in full.